The Elantra to get, and a contender in the resurgent compact hatch class. Don’t ask questions and just embrace the fact Americans are spoiled for choice again when it comes to compact hatchbacks. 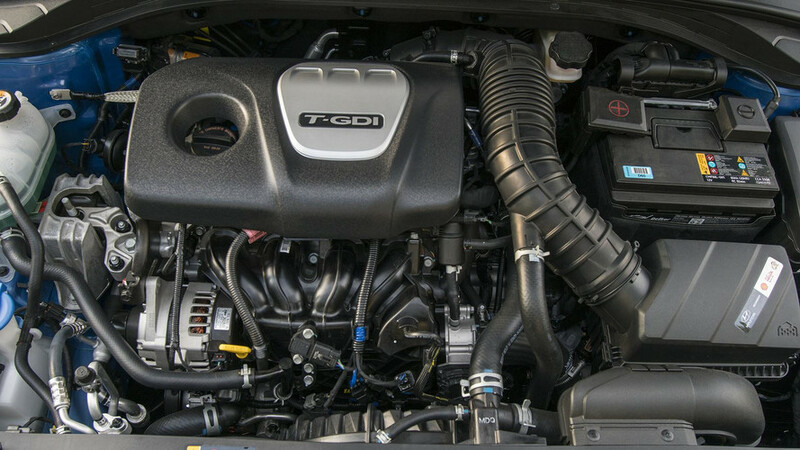 Perennial entries from Ford, Mazda, and Subaru have recently been joined by models from big names like Chevrolet, Honda, and Toyota, which long ago left hatchbacks for dead and kept foisting dumpy sedans on us. 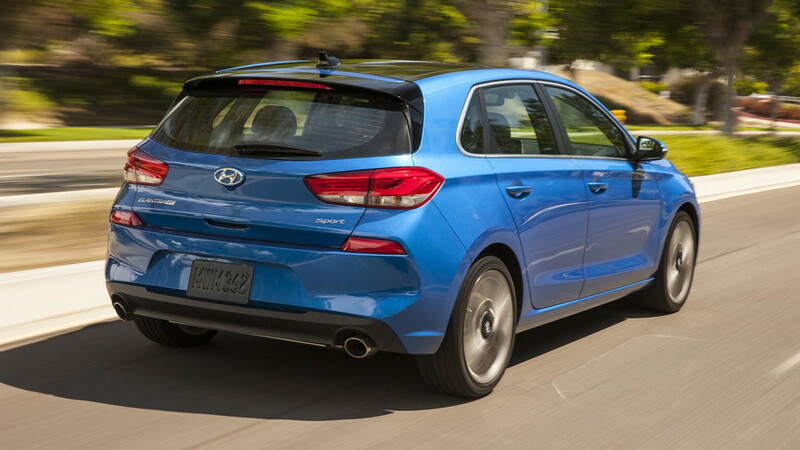 The 2018 Hyundai Elantra GT is the Korean automaker’s second try at taking its European-aiming compact hatch, called the i30 in most other countries, and seeing if it can do some incremental business in the United States. Because wherever this Hyundai hatch goes, it finds itself on the same course with a very accomplished player: the Volkswagen Golf. 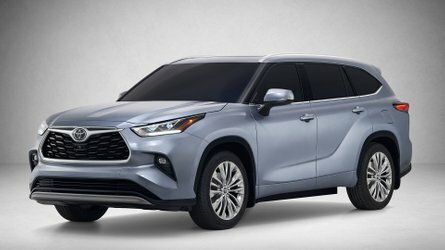 Hyundai has apparently seen the appreciation at least the North American market has for the tighter reflexes and German-aping styling of the hatches that have landed on our shores. And the good news is the American-dictated Elantra sedan and European-led Elantra GT are more closely related than ever under the skin. Smile like you mean it. 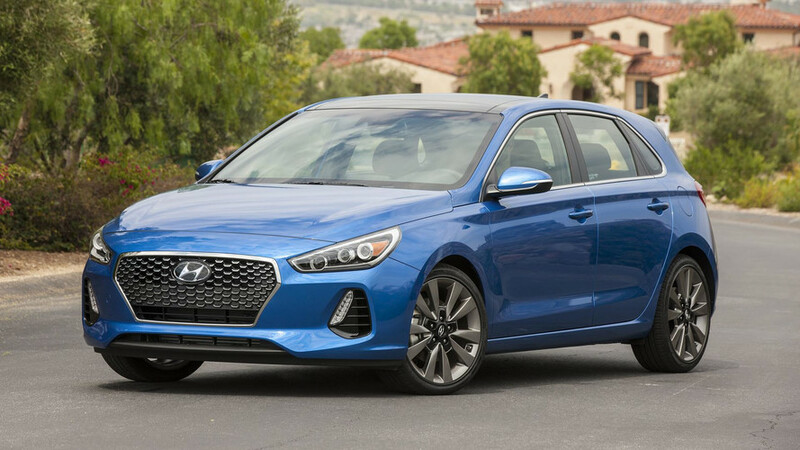 Hyundai is very aware of how its American-market models look (case in point: the 2018 Sonata), which is perhaps refreshing that the Elantra GT is mostly unchanged from the i30 in terms of appearance. 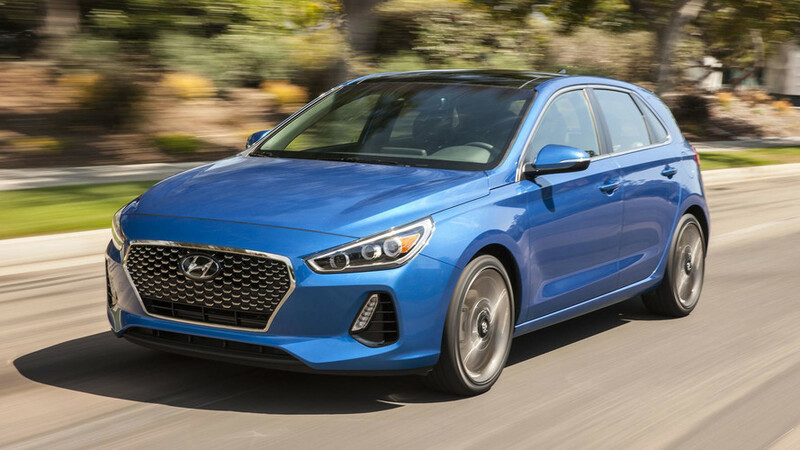 There’s a far more interesting and attractive face on the GT than on the handsome-but-unremarkable Elantra sedan, like it’s wearing a big grin rather than a restrained smirk. Yet it’s not over-styled and consequently makes the Honda Civic Hatchback look completely cartoonish by comparison, which alone may be enough to sway people away from the Honda showroom. Sport means sport. This may come as no surprise to those familiar with the Elantra Sport sedan (or at least our review of it), but the “Sport” badge on the back doesn’t mean just an option package with blacked-out trim. 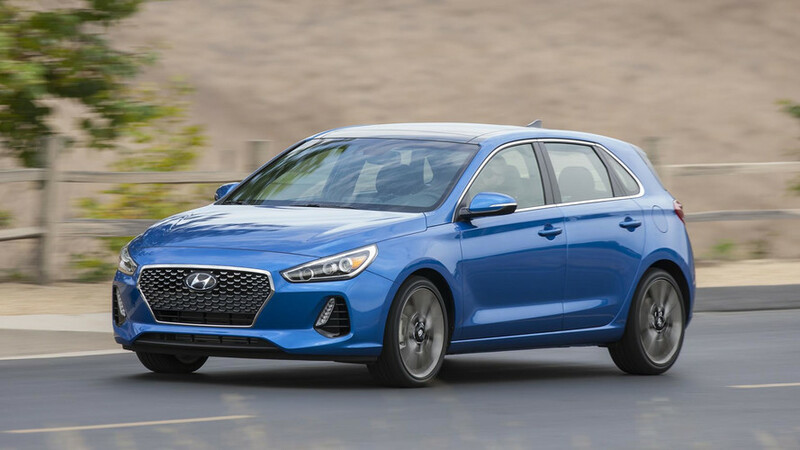 There’s a new suspension tune compared to the sedan to the benefit of handling, while steering feel is also improved and is another good sign Hyundai has eliminated the vague controls in its products. As the turbo in the 1.6-liter four kicks in, one impression really starts to gel: this is a fun Elantra. 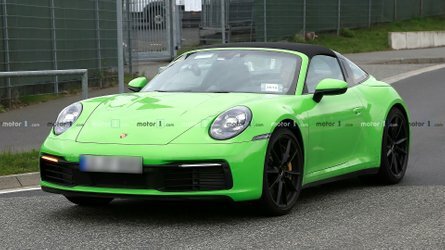 Wolfsburg who? In Europe, Hyundai hardly hides the i30’s reason for being is to go head-to-head with the Golf on its home continent. Hyundai’s U.S. reps are only slightly more restrained in their VW comparisons. But for good reason, because with the added refinement over the Elantra sedan, the GT does a decent Golf impression. 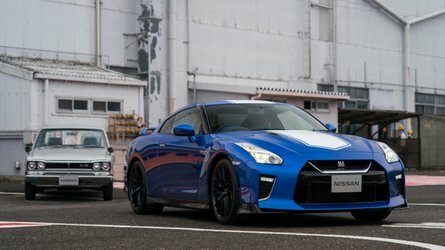 Its controls have a reasonable heft to them and interior materials feel a little more slick versus some Japanese-branded hatches. Now bring that slick i30 wagon over, okay, Hyundai? Served warm, not hot. The GT Sport has 201 turbocharged horses, which should be enough for a compact hatch weighing in at right around 3,000 pounds. 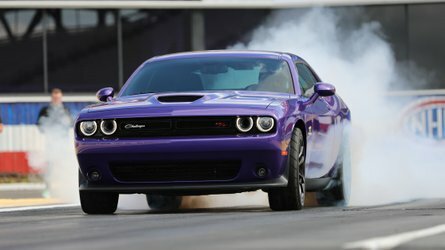 Yet this is no rival for the GTI, Si, or ST badges. The Hyundai feels plucky, but lacks the initial bite from a stop of true hot hatches. It’s satisfying power, rather than exciting. Fuel economy is also pretty pitiful at 29 highway miles per gallon, considering even the hot hatches can pull up to 35 mpg. The standard six-speed manual is adequate to use, but the shifter is a little rubbery and while it’s on par with what the Golf offers, the Mazda3’s manual is a joy to use every single second. 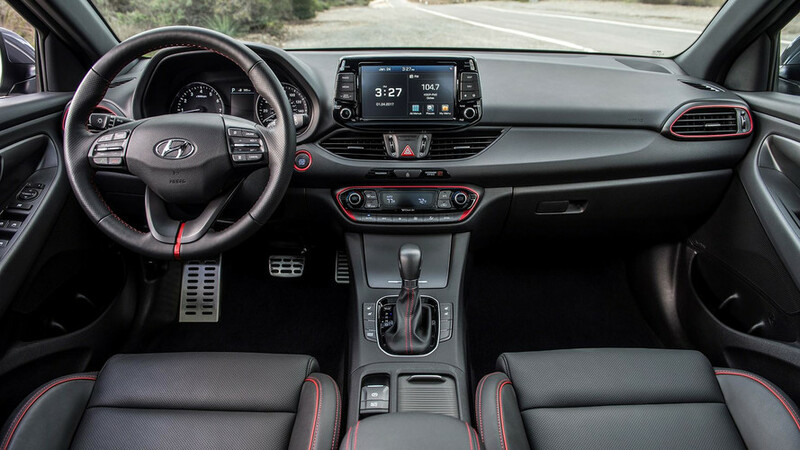 A seven-speed dual-clutch transmission is optional on the Elantra GT. Manual means fewer toys. But credit to Hyundai for offering a manual across the Elantra GT lineup. Some points still must be withheld because the clutch pedal-equipped cars aren’t available with any options, such as the Tech Package that bundles niceties such as the panoramic sunroof, upgraded audio, and automatic high beam assist. 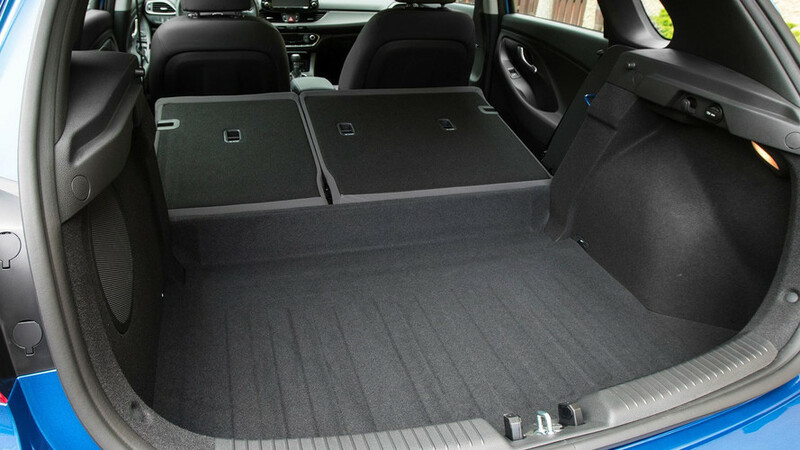 The base car comes well-enough equipped, though, with some attractive wheels and eight-inch touchscreen audio display. Hyundai says it’s considering offering the Tech pack on manual-equipped GTs, so go clamor about it now. 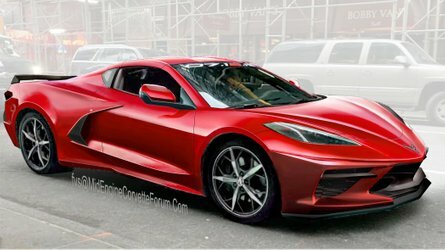 Pricing isn’t finalized, but bet on the GT commanding a premium of a few hundred dollars over the equivalent Elantra sedan when it goes on sale in August. Not all GTs are created equally. The Elantra GT comes in a base version that lacks two things that made the Sport good fun: its punchier turbocharged engine and four-wheel independent suspension. With 162 horsepower and a torsion bar in back, the non-Sport lacks sparkle. That said, however, it still feels more athletic and solid than a non-Sport Elantra sedan.